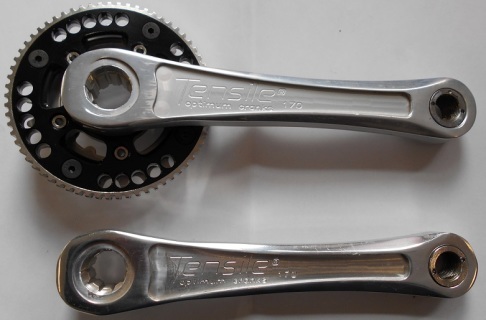 For a strong Top Quality street trials Crankset there is little to compete with this popular little combination. Suitable for most 26” wheel Stock Trials bikes. It represents great value. Tensiles Ultra Stiff 7075 T6 Heat treated Alloy cranks have legendary performance and the outer bash vastly increases the strength without a weight penalty. The steel inserts for pedals make thread stripping a thing of the past.